Tides Marine replacement nitrile lip seals are specifically designed for each sealing system (propeller shafts / rudder stocks) produced by Tides Marine. They are the only lip seals covered under the Tides Marine Warranty. The outer shell is made of an Aramid fiber composite which is integrally molded to a rubber hinge with a nitrile edge. A 316-stainless steel garter spring is incorporated to distribute loads evenly over the propeller shaft or rudder stock. 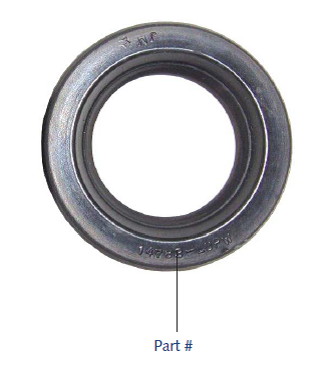 When ordering replacement lip seals, note whether you have a SureSeal shaft seal or a StrongSeal shaft seal. 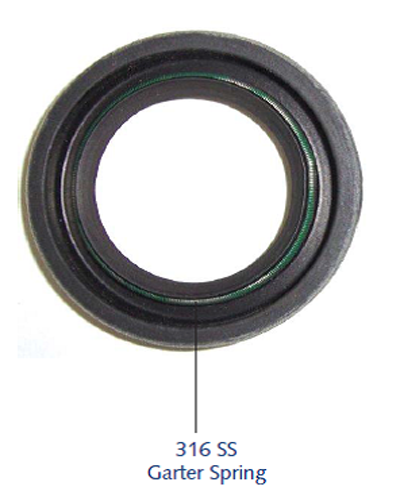 Descriptions of each are listed on the Shaft Seals, SureSeal vs StrongSeal Page here. NOTE: When ordering, please supply the lip seal part number (located on the face of the lip seal) to make sure you receive the correct replacement lip seal. It is also helpful if you can provide the Tides Marine Serial Number located on your existing part. Lip Seals may be ordered online.